The 2011 Melbourne International Arts Festival brings dance, theatre, art, opera and film to Melbourne from October 6 to 22. A truly international Festival, it features major presentations by visiting artists from countries including Russia, India, Sudan, Indonesia, Japan, Democratic Republic of the Congo, the People’s Republic of China, Iraq, Lithuania, Ireland, South Africa, Israel, Syria and Ukraine. The Festival examines what it is that unites us across cultures, and includes works that celebrate what can be achieved through unity, through call-to-action, through protest and politics, and through assembly of peoples. “This year’s program is the most pan-cultural I’ve had the privilege to direct, and celebrates the ‘live’ experience,” says Artistic Director, Brett Sheehy. 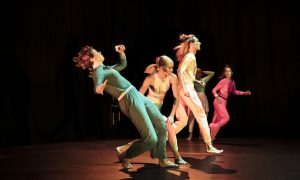 This year’s festival includes six unique dance works, including the world premiere of Assembly by Chunky Move and the Victorian Opera. One of our greatest choreographers, Gideon Obarzanek, presents his final work as head of Chunky Move in an ambitious collaboration with Victorian Opera. Devised by Obarzanek in partnership with Victorian Opera Music Director Richard Gill, Assembly investigates the enigmatic motion of crowds. Integrating dance with theatrical and operatic performance, this grand piece involves over sixty performers on stage, with the entire cast choreographed into an awesome mixture of movement and voice. Phillip Adams also presents a world premiere with Aviary, A Suite for the Bird with his company BalletLab. A fusion of feathers, flight and fantasy, Aviary imagines a jungle paradise of exotic birds, brought to life by BalletLab Artistic Director Phillip Adams, who both directs and performs, with six exquisite dancers. Costumes are by acclaimed Australian fashion designer Toni Maticevski, with plumage designed by iconic Melbourne milliner Richard Nylon. After his astonishing Australian debut at the 2009 Festival, the much feted Hofesh Shechter returns with his first full-length work, the critically acclaimed Political Mother. A powerhouse performance that meshes traditional Jewish folk dance with a jackbooted live soundtrack of military drums and electric guitars, Political Mother finds Shechter at his most innovative and impassioned. Over the course of 70 minutes, Shechter’s dancers lurch through the authoritarian nightmares of recent human history. In an Australian premiere, Jecko Siompo and Jecko’s Dance present We Came from the East. First you hear the noises, a cacophonous array of yelps emerging from the blackness. And then the bodies appear, contorted and animalistic, folded backwards and leaping toward the ceiling with bestial vigour. It’s a long way from breakdancing, yet it seems so familiar. Could it be true? Could hip-hop really have come from Indonesia? This is the question mischievously posed by Jecko Siompo in We Came from the East. Siompo conjures up a furious display of the apparently indelible links between traditional Papuan dance and contemporary hip-hop. 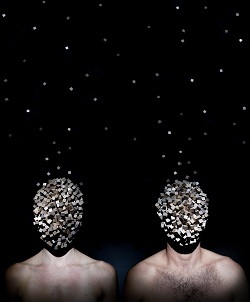 Arts House and Force Majeure present Double Think. Critically acclaimed Australian dancer, director and choreographer, Byron Perry explores the concept of a performance work in constant flux in his second full-length dance work Double Think. A rhetorical examination of the illusion of opposition, Double Think creates a constantly evolving landscape of relativity – a place where actions and statements serve double functions and characters create and derail trains of thought simultaneously. One tall man and one short woman make imperfect sense as they shed some dark on a light subject in a complex world of simple objects. In a fun addition to the dance program, Strut & Fret will present Tom Tom Crew who smash together acrobatics, hip-hop and percussion to create an entertaining, adrenaline-fuelled circus show for the 21st century. From the first bass drum kick to the hair-raising, acrobatic finale, the Tom Tom Crew deliver a show that grabs you and doesn’t let go. The pulsing energy of hip-hop meets the raw physicality of acrobatics in an astounding mash-up of gravity-defying manoeuvres, astonishing beat-boxing and breakdancing, improbable contortion and energetic drumming.